Eating (and drinking) healthy in Houston is easier than it sounds. 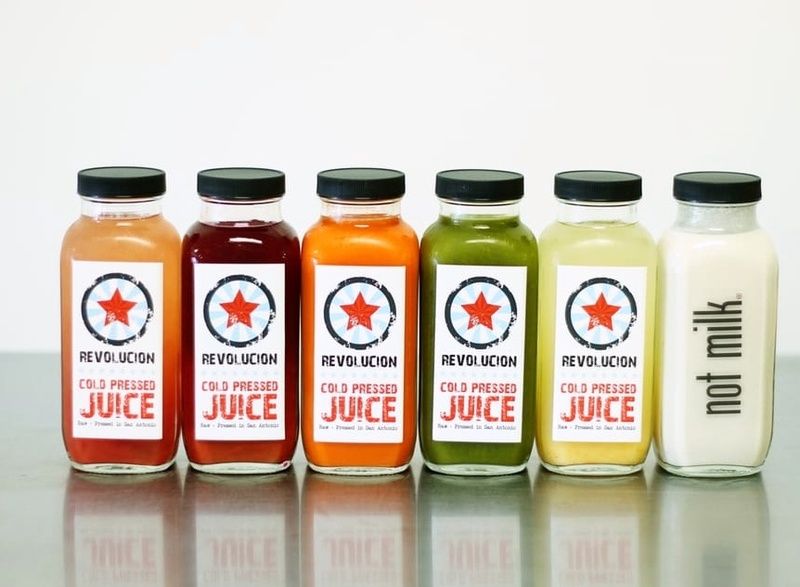 Sure, we love our barbecue, Tex-Mex, and local breweries, but we also really dig a cold-pressed juice. 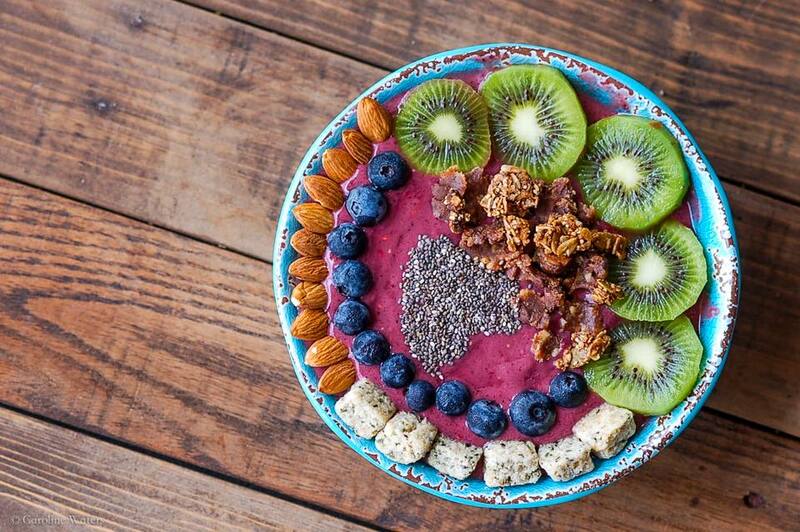 And luckily, the juice, acai bowl, and smoothie craze has more than just hit Houston, it’s become an integral part of the local culinary scene. 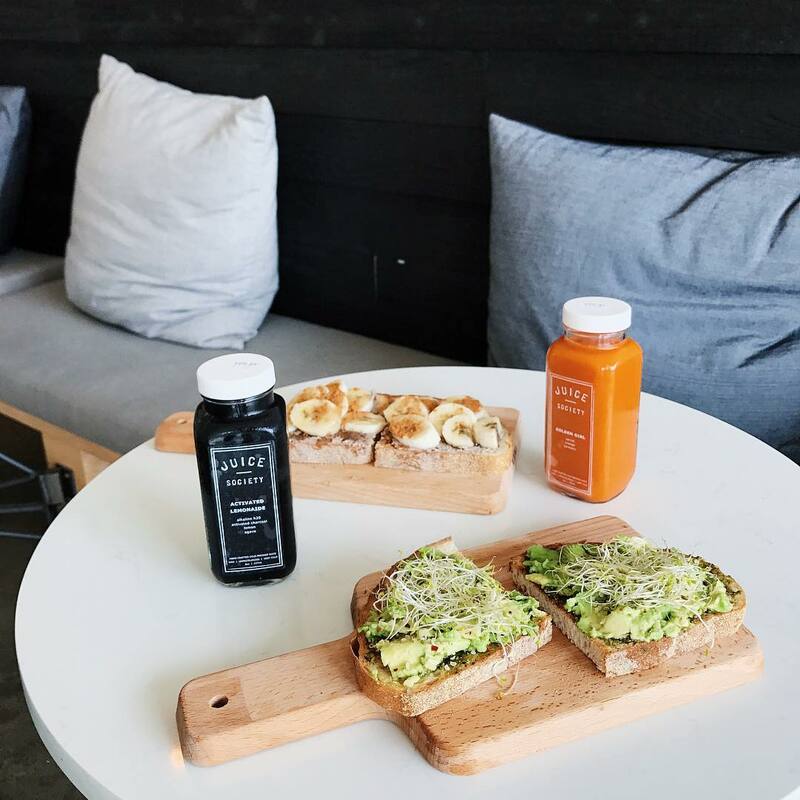 Whether you’re craving nourishment after a workout or jazzed about finding a new breakfast spot, here’s your go-to list of the best juice spots in H-Town. 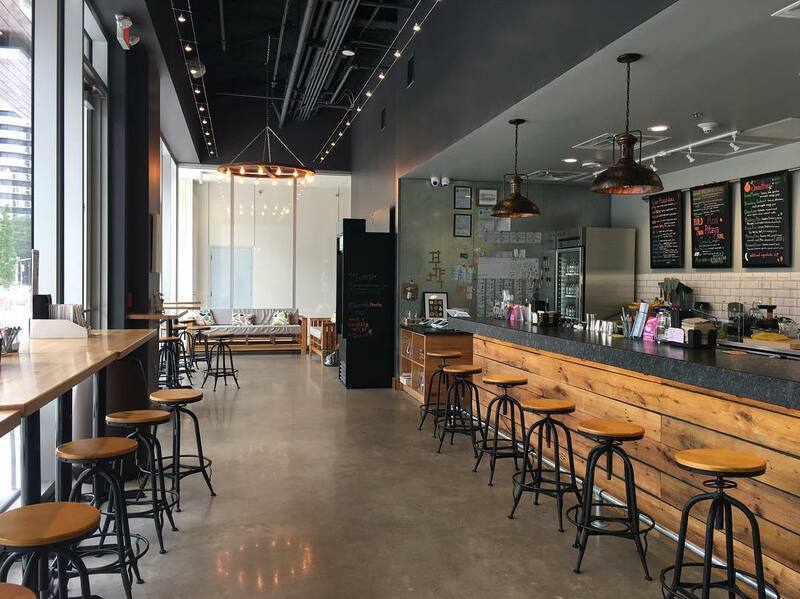 This family-owned boutique juice and coffee shop in The Heights is revolutionizing (see what we did there?) juicing in Houston. Case in point: they throw the likes of activated charcoal in their cold-pressed drinks and superfoods like hemp seeds, moringa, and bee pollen in their smoothies and bowls. Not only that, you'll also find nut milks, plus pour-over and cold brew coffee on their menu. Fitt Tip: if you need a little extra boost, order up a turmeric, black pepper, and coconut health shot and thank us later. 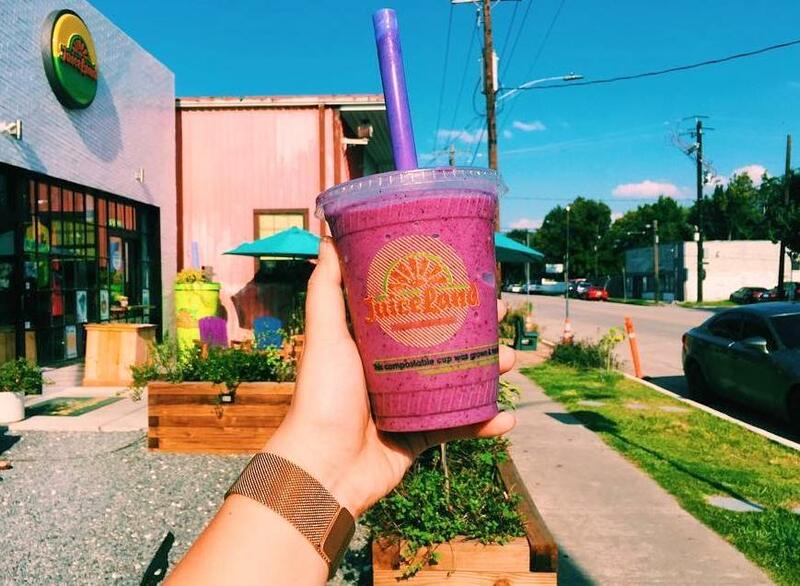 Situated right on The Heights bike trail, this OG juice destination brings a little slice of Austin to Houston. Sharing a space with Black Swan Yoga (and with two more locations in Montrose and in Upper Kirby), this is a great go-to for a satisfying, tasty drink after you’ve sweat it out in a hot yoga class. Even better, JuiceLand occasionally updates their menu, dabbling with add-ons that range from exotic to marine-based (spirulina, anyone? ), so you’ll always find something fun to try! Stop by for a made-to-order concoction and when you're short on time, reach for one of their pre-made, raw pressed bottles. Another Austin favorite found its home in H-Town, and we couldn’t be happier. Serving up more than just juice, colorful healthy hot spot makes getting your daily dose of fruits and vegetables a no-brainer. 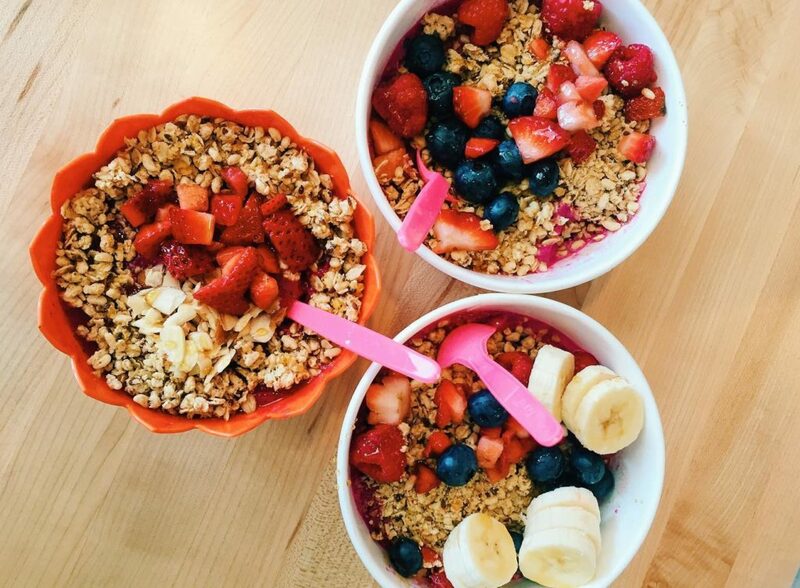 Choose from bowls, smoothies, juices, and even grab-and-go meals, that are all made with fresh, real ingredients (read: nothing here includes processed or artificial foods). And with three cafes in the city—Memorial, West U, and downtown—satisfying your healthy cravings is always within reach. When a juice spot has a drink named after Montrose’s dancing roller blader, you know they’ve committed to repping the neighborhood hard (and are now inside Kalos Coffee in The Heights and in Rice Village!). 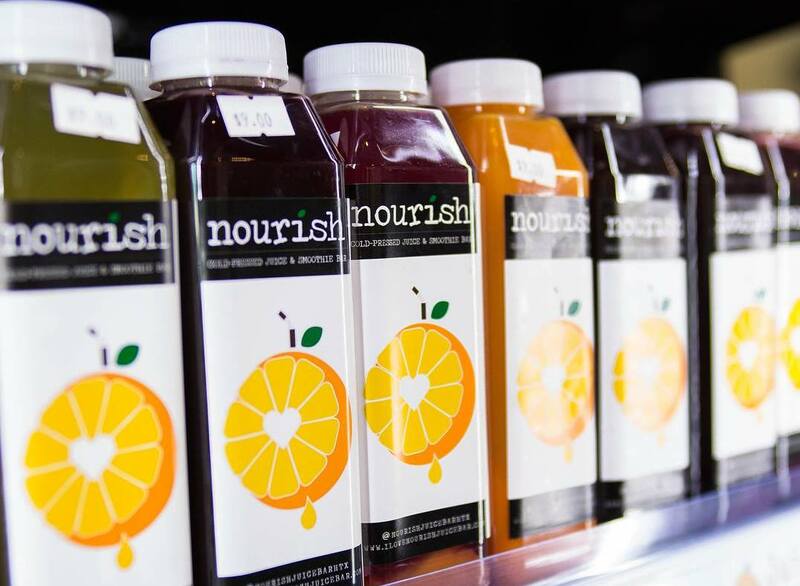 In addition to the funky drink names on Nourish’s menu (Hawaiian Airlines, Beetle Juice, and Skinny Honey Boo Boo, to name a few), this juice bar only uses organic ingredients to craft their creations, so you're getting only the best of the best. Plus, the hand-painted wall decor, friendly and knowledgeable staff, and delicious juices and smoothies ensure that when you stop by this spot, the good vibes are guaranteed. Juice Girl in The Heights and Montrose serves up all the usual suspects—juice, smoothies, shots, and bowls—but what they also have is soft serve, vegan ice cream. Yup, you heard that right. Using their most popular juices as a base, their soft serve juice cream (who knew juice cream was a thing?) has us coming back for flavors like Flaming Lips Zinger and Green Apple'ade. And if you're not in the mood for a frozen treat, you can order a made-to-order juice drink of the same name (with the same amazing taste). At this CA-based Bellaire juice bar you can expect everything from the wellness cocktails to the wheatgrass shots to be made from local produce sourced from area farmers (along with a few exotic ingredients shipped in from around the globe). So whether you’re up for a full juice cleanse or just popping in after Pilates at Pure Body down the street, you know this spot is slinging the good stuff. And if you can’t get enough of their nourishing juice blends, their sister store JuiceWell is now squeezin’ in Greenway Plaza. 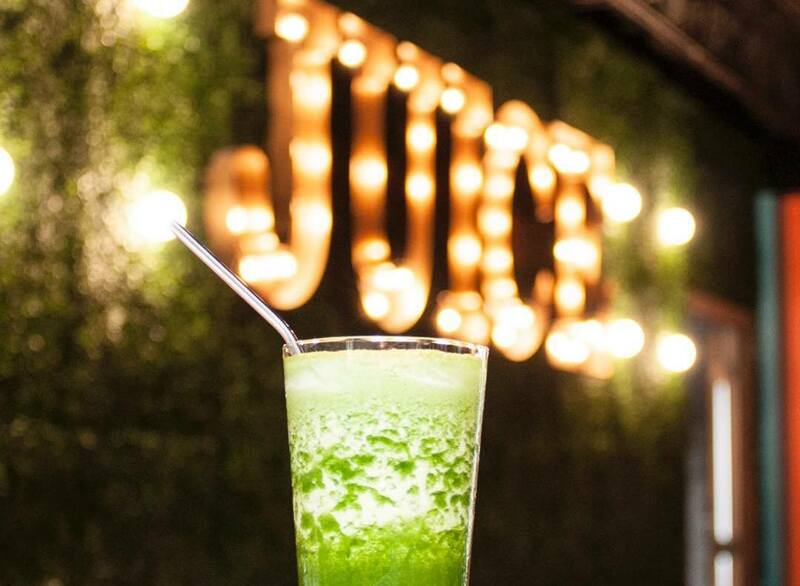 JuiceWell is Sustain Juicery’s hip, younger sister. Opened as an extension of the OG juice bar, this healthy haven brings all of Sustain’s top-notch ingredients and freshness to Upper Kirby residents. In the mood for all things chocolate? JuiceWell has you covered. Their rich “Coco Loco” smoothie is chock full of chocolate and healthy antioxidants and made with coconut, cacao powder, banana, and maca. But if you're looking for something a little more fruity, you can't go wrong with the Zing juice packed with apple, orange, ginger, and chia seeds. And if you're not in Upper Kirby, you can also find them off the Katy Freeway. 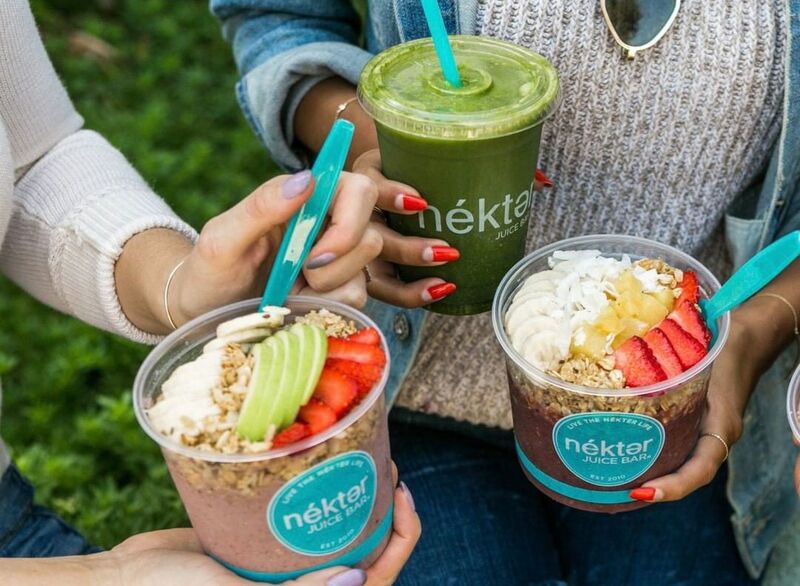 Nékter Juice Bar serves up uber nutritious blends in West University, Bellaire, and downtown, so make sure to add this health-centered eatery to your list of Houston places to try. Aside from their plant-based concoctions and superfood boosts, the mega juice franchise is now offering Skoop, a coconut milk-based frozen dessert made without dairy, gluten, or refined sugar at all three of their local shops. Now that’s what we call a guilt-free treat. Need a pick-me-up? Memorial’s 713 Juice Bar will do the trick. This all-natural juice and smoothie spot is as simple as they come, but in the best way possible. Each refreshing drink is filled to the brim with fresh fruit and organic greens and almost nothing else. 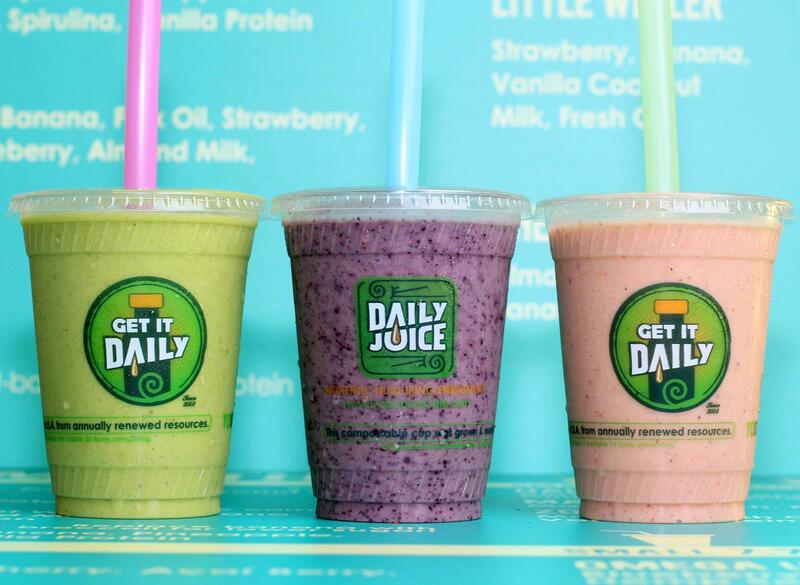 Choose from any of the 26 signature juices and smoothies, request an acai bowl, or custom-create your own blend! The options are endless. 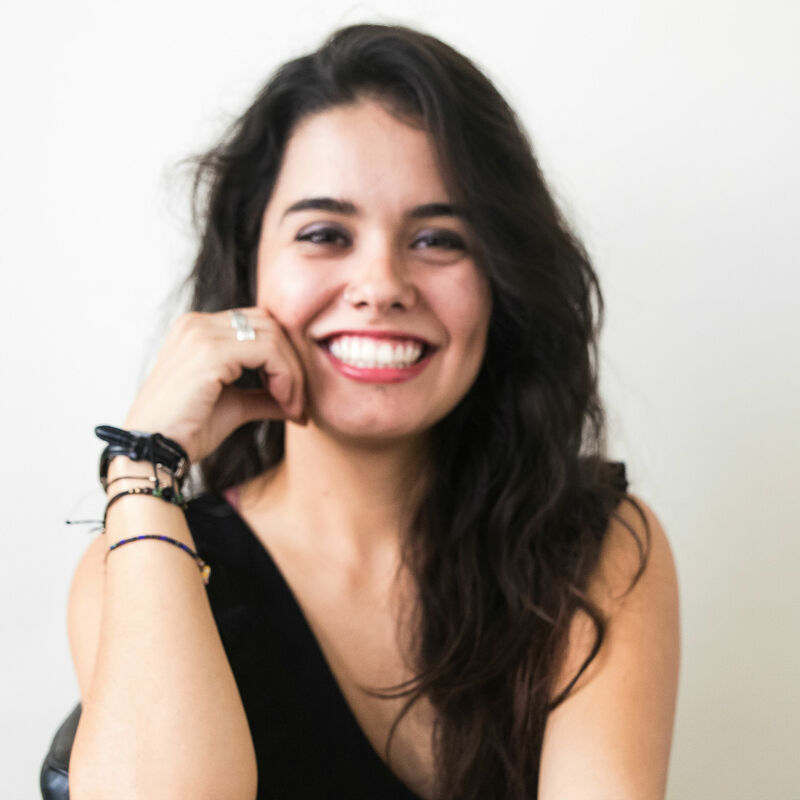 There's a lot to love about Austin-based Juice Society. Not only does this chill wellness-focused brand feature made-to-order smoothie creations and craveable cold-pressed juices (hello, Thirst-Ade Kit with turmeric, lemon, honey, and ashwagandha) but you can find them practically everywhere in the city. That's right, aside from their juice bar inside Whole Foods in the North Loop you can find their bottled concoctions at tons of Houston retailers, just check their website to see where. And when you need a health-infused boost but don't want to get up off the couch, you can have their curated juice kits delivered right to your door. 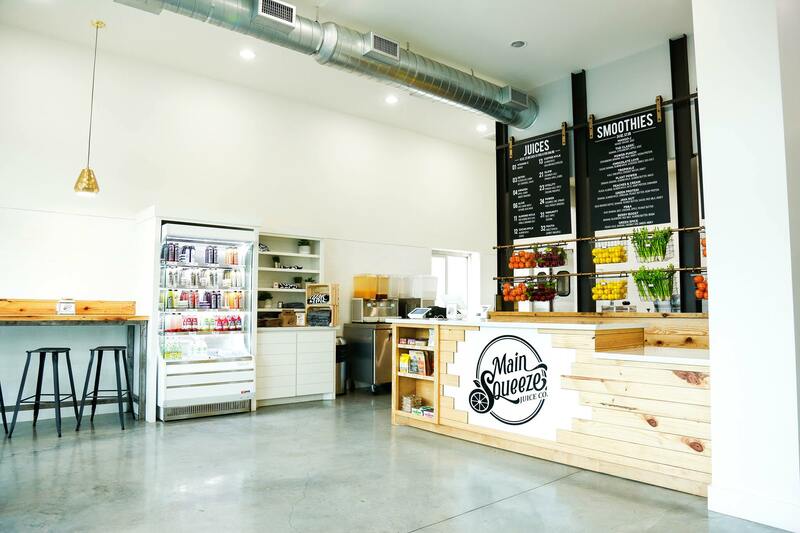 Cold-pressed juice, handcrafted smoothie bowls, wellness shots, hot and cold coffee, and nut mylks — there's not much Main Squeeze Juice Co., with multiple locations in the Houston area (with more in the works), doesn't do. And while they care about helping you have access to healthy, good-for-you options, they also care about the environment. That's why, in addition to offering an entirely plant-based menu, everything they serve comes in biodegradable and recyclable packaging. That's what we call a win-win, friends. 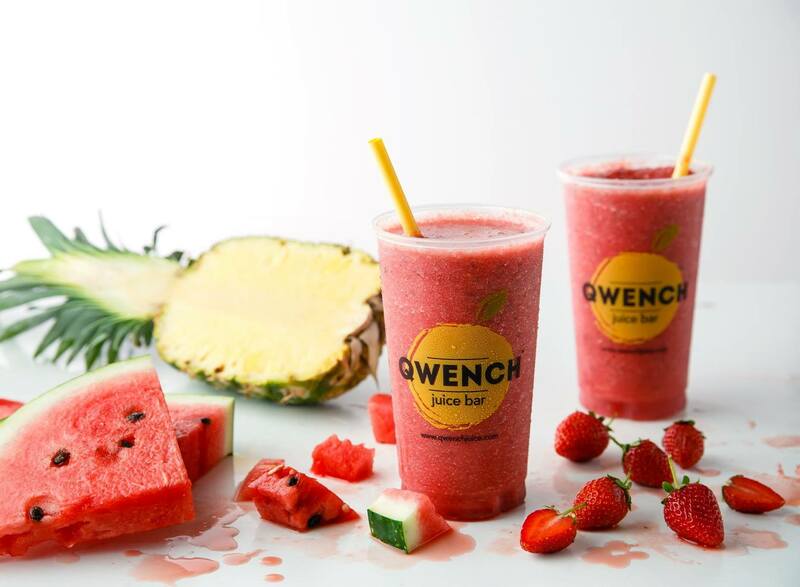 Qwench Juice Bar has some well-laid plans for Texas and that includes the opening of not one, but two locations in the Houston area. 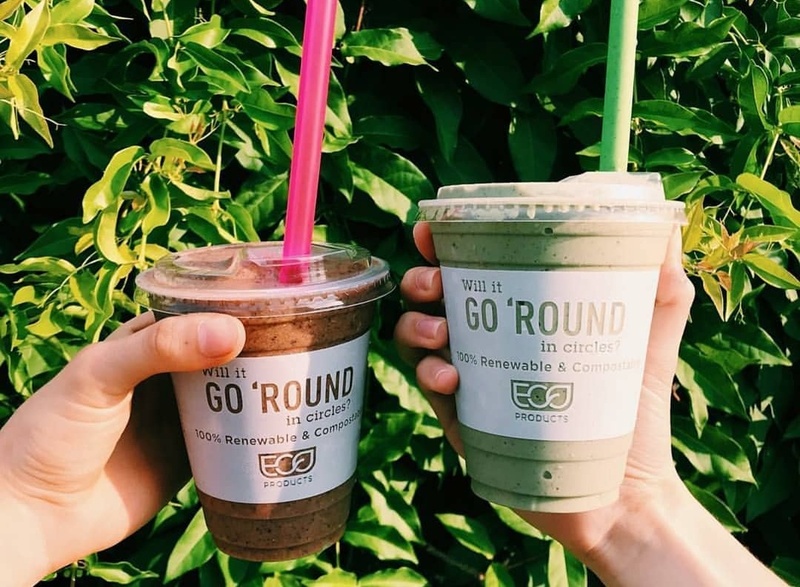 Soon enough, you'll be able to stop by their storefronts on N. Main St. and Eldridge Pkwy South to indulge in everything from raw juice blends (the Cucumber Chill is a must-try) to protein smoothies, acai bowls, and more. Yep, your juice game just got a major upgrade.